Finally Sony has announced Xperia Z Ultra which is a phablet, the device comes with wider display of 6.4 inches Triluminos Display with X-Reality engine that would offer rich, natural colours. It is a waterproof and dustproof phablet with IP55 and IP58 certification and it can resist water up to 1 meter for 30 minutes. The phone has 2.2GHz quad-core Qualcomm Snapdragon 800 processor and has 2GB of RAM and Android 4.2 v operating system. The phone comes with 8 MP Exmor RS primary and 2MP front camera. It has 3050 mAh non-removable li-Ion battery. Another interesting feature of the Xperia Z Ultra is its handwriting recognition functionality. The phone’s screen is compatible with any pencil and selected stylus or pen with tip diameter over 1mm. 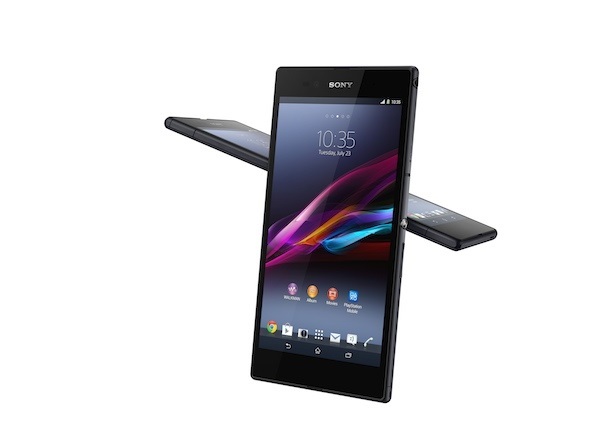 It was only a matter of time before Sony jumped on the phablet bandwagon. And that day is today. The mobile maker has just announced the Xperia Z Ultra: a frankly gigantic addition to its smartphone line-up that packs a 6.4? full HD display. This phone is so big that one of the accessories Sony is lining up is a slender Bluetooth handset for taking calls — i.e.so you can leave the whopping slab on the table.